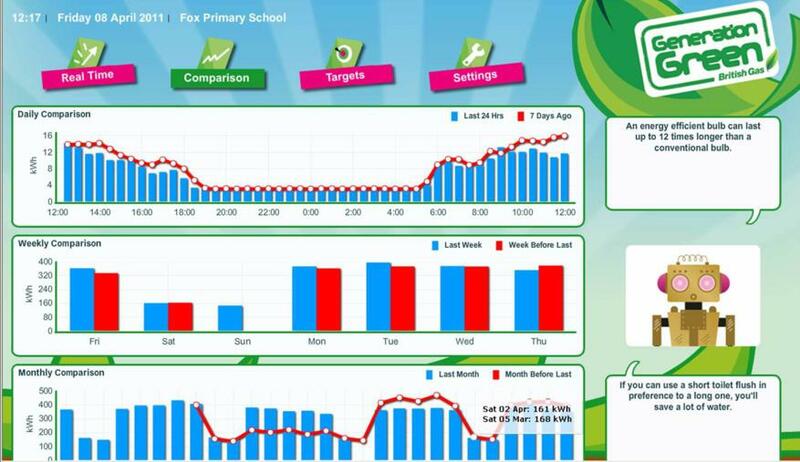 The Energy Display Meter installed at Fox school allows staff and children to accurately measure and monitor the school’s electricity usage in real time. This helps us to take appropriate action to reduce our carbon footprint. Children can log on to a website from any computer in the school and see real time energy readings from the meter, allowing us to monitor the impact of turning equipment on and off. We can also monitor daily, weekly and monthly comparisons, allowing us to set realistic targets for the school.